Great News! 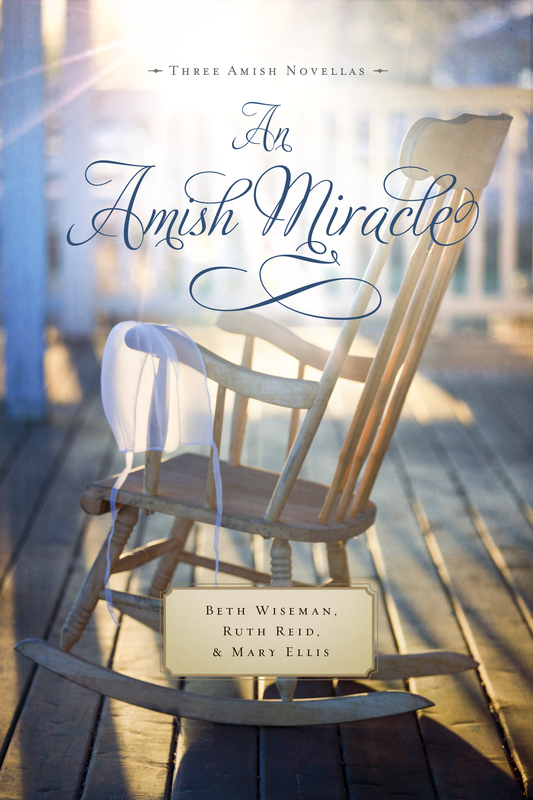 7 Best-selling Amish Authors, 27 books, 9 Winners, in 1 Great Book Giveaway! On Wednesday, January 29, 7 authors are joining together for a great Amish book Giveaway. All you have to do is stop by the following author’s websites and leave a comment. Each author will randomly pick one or two winners. 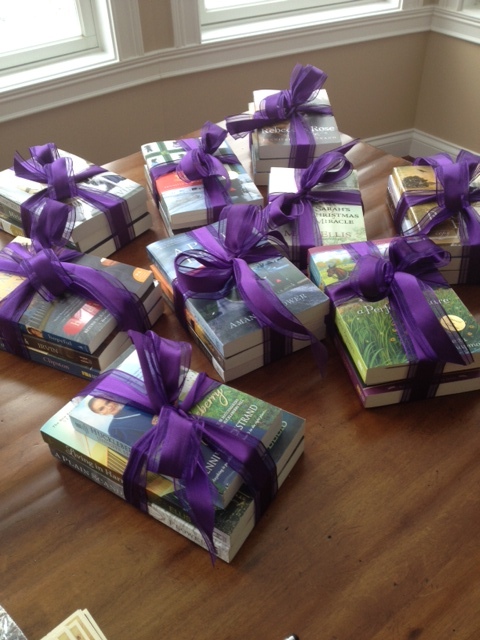 Each winner will receive a trio of books from 3 of the participating authors. All drawings will take place on Wednesday. Start my leaving a comment here! Then drop by as many sites as you can to leave a comment. The more comments…the more chances to win! Happy Tuesday, readers. Recently I joined with 6 other Amish fiction authors to participate in a blog-a-thon. Once a month all 7 of us will answer questions about Amish fiction. (This will be moderated by Jennifer Beckstrand) Hope you enjoy! Okay, most of us Amish authors aren’t all that silent, but that title did spark your interest, didn’t it? 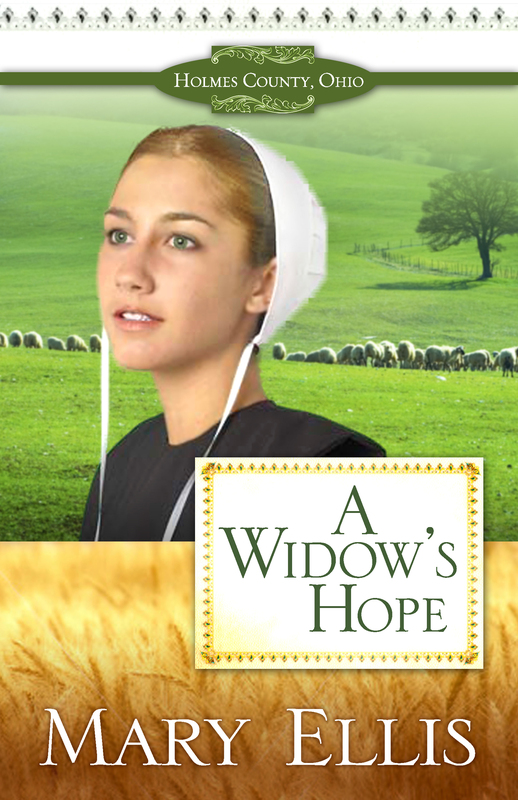 Once a month on my blog, seven Amish authors are going to answer questions for our readers. This month, I made up the questions. Next month, I will probably still make up the questions. But if you have a question you would like to ask our distinguished panel, please use the contact form here on my site and send me your questions. We’d love to hear from you. First, introductions. I am privileged to have some great friends who also happen to write Amish. The authors participating in our monthly blog are Vannetta Chapman, Amanda Flower, Amy Clipston, Mary Ellis, Shelley Shepard Gray, and Kelly Irvin. And me. Thanks, ladies. This is going to be fun. First question: What is the first Amish book you ever read? Vannetta: The first Amish book I read was not fiction! It was Suzanne Woods Fisher’s Amish Peace. 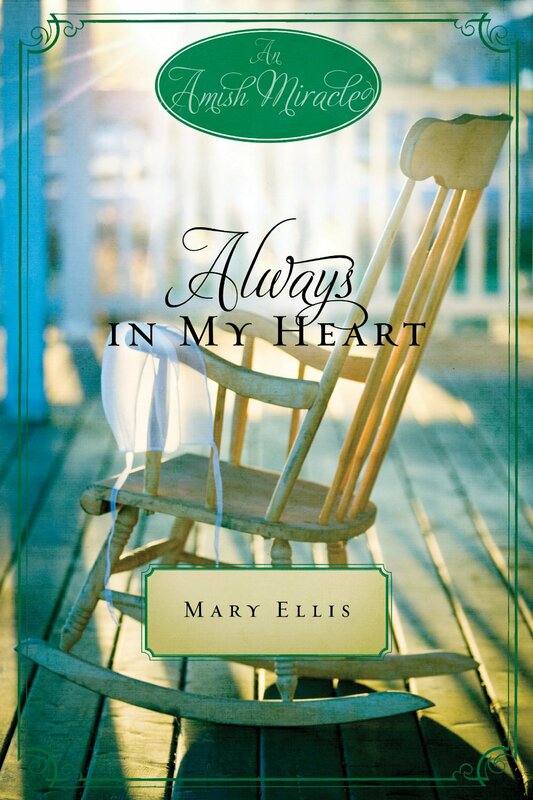 Mary: When the Heart Cries by Cindy Woodsmall back in 2006. She got me hooked on Amish fiction with her Sisters of the Quilt series. If you could give yourself an Amish name, what would it be? Vannetta: Oh, possibly Rachel. My name is difficult to say and spell, so I’d go with something simple! Amanda: This is hard because I really like my real name and already have a pen name “Isabella Alan.” I guess it would be Becky Troyer… it sounds like an strong Ohio Amish name, and yes, it is the name of character from Appleseed Creek. Amy: Definitely Katie! I’ve always loved that name. Mary: Elizabeth Miller. Elizabeth is my mother’s name, and I love it! And Miller because I live close to Millersburg, Ohio. Then I can go from having only a handful of relatives to having hundreds and hundreds!! Shelley: I think it would probably be the name of the heroine in my current work in progress. So that would be Ruth. Kelly: Elizabeth, because I admire John the Baptist’s mother. Jennifer: I love the name Kate. My first book is titled Kate’s Song. I have a daughter named Kate. And Kate Hepburn isn’t Amish, but she rocks! How many Amish books have you written? Vannetta: I have 8 Amish books published, and 3 more completed and in the editing process, plus another 5 contracted to be published in the next few years. Amanda: 5 published, 7 written. Two are coming out in 2014: Murder, Simply Stitched and A Plain Malice. Amy: I’m currently working on #12. Mary: To date I have written 12 Amish books. Shelley: Just finished number 22! Vannetta: My latest book, The Christmas Quilt, is about how a family and a community pull together to help a young couple going through a difficult time. Amanda: My very latest book is Andi Unexpected, which is a mystery for children. They live in rural Ohio but are not Amish. My latest Amish book is Murder, Plain and Simple written under my pen name Isabella Alan. When Angela Braddock inherits her late aunt’s beautiful Amish quilt shop, she leaves behind her career and broken engagement for a fresh start in Holmes County, Ohio. With her snazzy cowboy boots and her ornithophobic French bulldog, Angie doesn’t exactly fit in with the predominantly Amish community in Rolling Brook, but her aunt’s quilting circle tries to make her feel welcome as she prepares for the reopening of Running Stitch. On the big day, Angie gets a taste of success as the locals and Englisch tourists browse the store’s wares while the quilters stitch away. But when Angie finds the body of ornery Amish woodworker Joseph in her storeroom the next morning, everything starts falling apart. With evidence mounting against her, Angie is determined to find the culprit before the local sheriff can arrest her. Rolling Brook always appeared to be a simple place, but the closer Angie gets to the killer, the more she realizes that nothing in the small Amish community is as plain as it seems…. Amy: A Mother’s Secret will debut in June, and it’s book #2 in my Hearts of the Lancaster Grand Hotel series. In A Mother’s Secret, Carolyn Lapp hopes to find true love despite her brother’s insistence that happiness can come from a marriage of convenience. 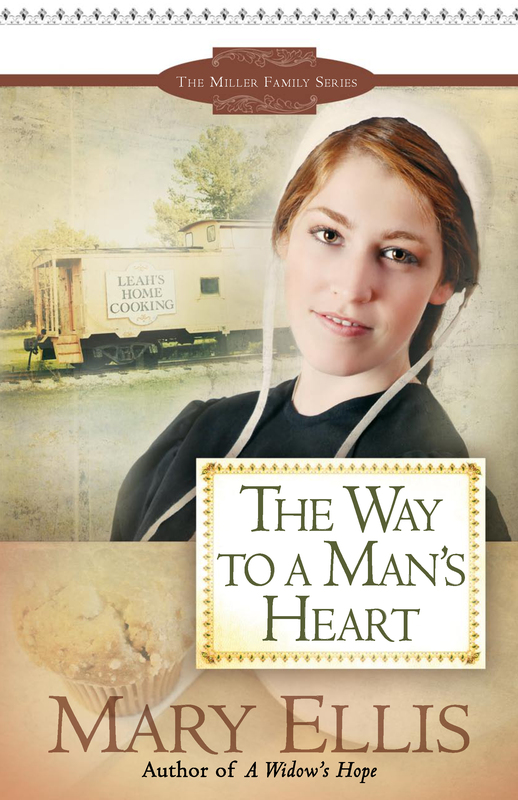 Mary: My latest Amish book, A Plain Man, picks up the story from Sarah’s Christmas Miracle. It answers the question: What happens when a man returns to the Amish culture after being an Englischer for five years? It will release in April from Harvest House Publishers. Shelley: My next book will be released on February 4. It’s titled Hopeful and it’s the first book in my Return to Sugarcreek trilogy. My heroine’s name is Miriam and she’s a cook and waitress at the Sugarcreek Inn. She has a crush on the very handsome Junior Beiler, he’s in love with the new school teacher-oh, and there’s a stranger in town, stalking the teacher. All I can say is that everything turns out just fine in the end. Kelly: Love Redeemed, which releases March 1, is the story of a young Amish woman who makes an innocent mistake with tragic consequences. She and the man she loves are forgiven by their small community, but they have to learn to forgive themselves before they can share a life together. Jennifer: Huckleberry Hill features a pair of Amish grandparents who try to find suitable mates for all their grandchildren. Their grandson, Moses, resists their meddling, but he can’t resist pretty Lia Shetler.